There’s not many details about the vehicle apart from teaser footage up to now, but pricing-wise could be between the Jaguar I-Pace and the Tesla Model X. The pricing could also be a spot more than the latest Mustang and Model Y crossover, making it an affordable proposition. The same goes for the release date, which maybe ‘next year’ sometime. Aa Announced at the 2018 Detroit Auto Show, the Mach 1 naming which comes from performance Mustangs of the past implies performance, presumably for instant placement into the performance EV market. So, an all electric SUV which is borrowing the Mustang and Mach 1 monikers is fine, but what about the pure Mustang and its future, especially concerning the V8. There are some nice morsels of information from the video below featuring an interview with Bill Ford executive chairman of Ford. ‘We have put the groundwork into place for transformation’ says Bill Ford executive chairman. When asked about a future collaboration with Volkswagen AG, Ford says, ‘you’re going to see many more partnerships’ which could be anything from tech start-ups to OEMs. Also on the point of the move to electrification, ‘It’s a big investment,’ and ‘the world is going to require electrification from a regulatory environment.’ This implies electric vehicles and autonomous vehicles are the roadmap ahead for Ford, but will a pure Mustang next be fully electric or a hybrid? 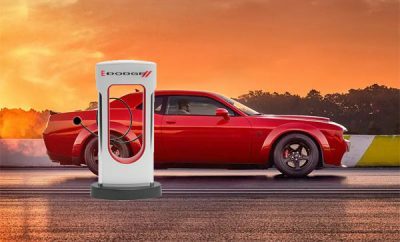 Hybrid or fully electric Mustang? 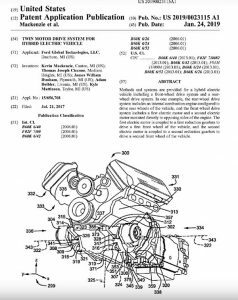 A patent which was published on Jan 24, 2019 describes a twin multidrive system which uses a traditional V8 to drive the rear wheels and two electric motors either side of a V8 engine to drive the front wheels. Could this hybrid engine give the Mustang the best of both worlds? The Mustang has featured a range of motors over the years, but it’s the mighty V8 that rules the roost. At this stage it doesn’t seem like the V8 will be laid to rest, it’s too early days, but a hybrid or fully electric is definitely on the horizon to run alongside V8 models. A V8 hybrid does seem the best way forward, at least for the short and medium term for many reasons. A slow integration from V8 to electric and also to see how well a V8 hybrid runs and is accepted by the public. Clearly, these are disruptive and transitional times for the pony car and muscle car industry. 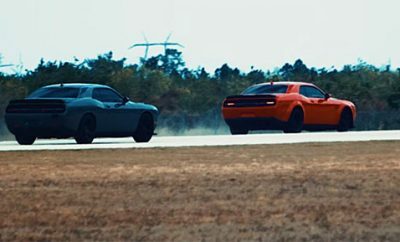 No one wants to see the V8 engine left behind, but also nobody wants to see any current pony or muscle car fall by the wayside, simply because they have stuck adamantly to traditional technologies. It’s happened in other industries, so its far better to embrace the new and see how much they can integrate with the past and present to get the best of all worlds. Even if its for the kicks of putting a few Teslas to sleep with their bragging rights of instant torque on the drag strip. 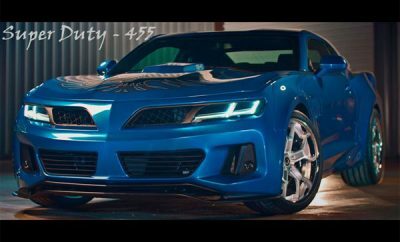 Please comment below with your opinions about the future of EVs for pony and muscle cars.